So this weekend has been kinda busy but by choice. Last week on Gum Tree, I saw two gorgeous candle sticks that looked perfect for the living room fireplace and for the price of a fiver. I couldn't resist them it meant I had to collect them from Sunderland. After getting the candlesticks I felt slightly disappointed as It thought they were made from glass rather than, ceramics but either way, they'll suit they'll fit into my scheme. I took the opportunity to look around the Sunderland charity shops and found nothing. I also took the opportunity to look in TK Maxx. I spotted an amazing Halloween bunting decorated with black cat and witch's hats I fell instantly fell in love with it. After seeing the price, sobriety kicked in, I consider making one myself. I wanted to head down to South Shields fabric market since John Lewis and Fenwicks haven't have stocked up on their winter fabrics. 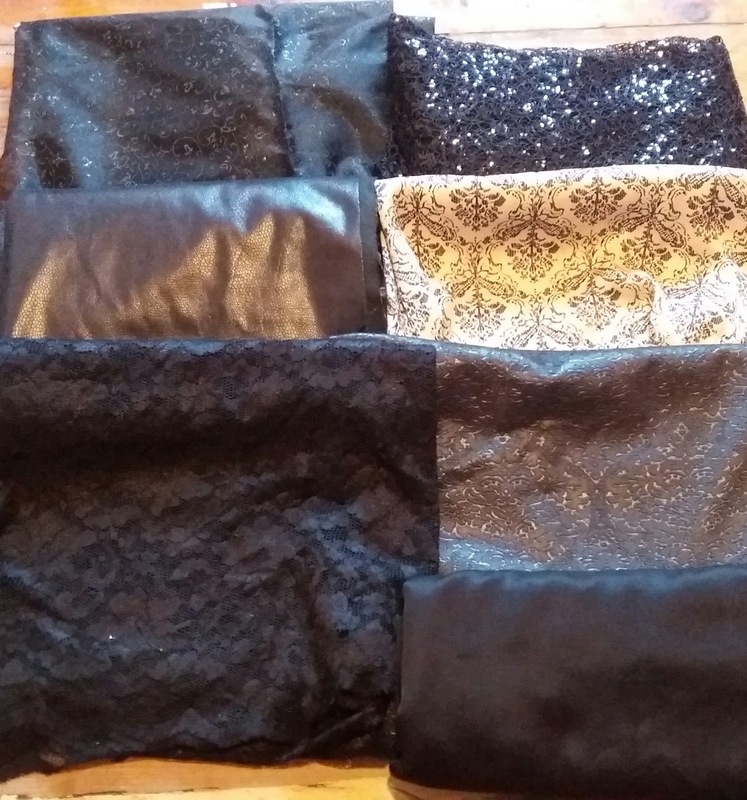 I've been really disappointed by the selections as there has been limited choice as they typically get in some stunning jacquard and brocades.So as you can imagine I was ecstatic to see the store market seller, who had an amazing selection so I stocked up on my fabric. I'm preparing to go on along and thought detox from money once were moved in. We had uneventful Saturday night and retired to bed at ten. On Sunday afternoon we out to Tynemouth market, this is a rarity as nothing gets the boyfriend out on a Sunday, especially when the formula one and the motoGP racing is on. I was really disappointed by the market, as it's becoming more upmarket intern it lacks the diversity when it was a flea market and it seems to everyone selling the same things. 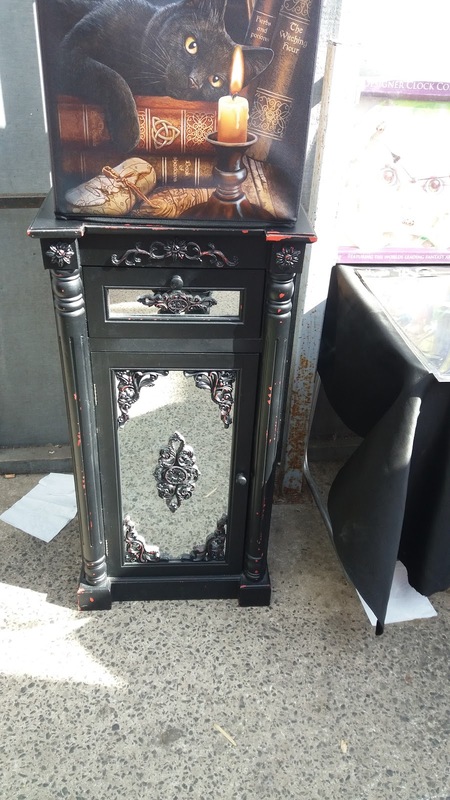 One thing I did find was a beautiful cabinet but they wouldn't deliver , man I love these as they would of look amazing in the bedroom. I defiantly take inspiration for them. I was a bit gutted as it's been difficult for me to find anything I like. Afterwards. 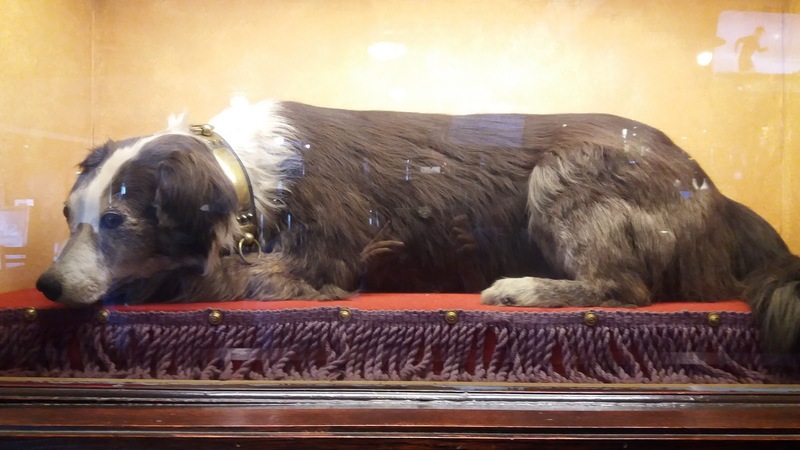 we went for a couple of drinks at a local pub, displayed an unusual curiosity of taxidermist border collier of Willie the stuffed dog. The story of Wille got separated from his master while driving sheep. Willie once found his way to the quayside his master was ago The dog was grief stricken, he wouldn't permit anyone near him and lived off scraps. Later the dog was taken from a ferry and thrown overboard to end his misery. Willie survived swam to shore and went back to the shoreside and waiting for his owner. Sadly, his master returned but the dog missed him by mere minutes. There was a play written about Willie named the "Dog of the Tyne". 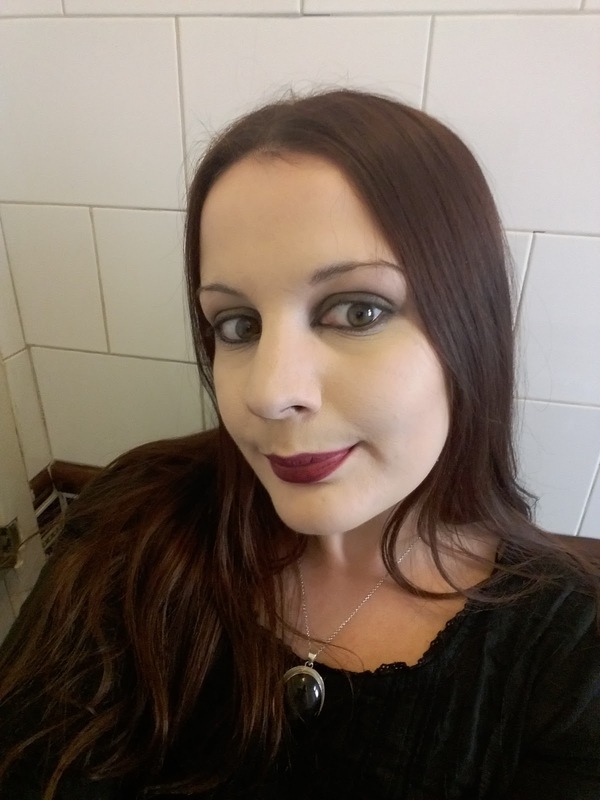 This is my outfit for Sunday, it's the first time I've donned make-up for a couple of weeks and dressed up. It feels nice to be gothed up, The George, Asda, the top is a recent car boot find, the skirt is by Coast charity shop find, and belt a Charity shop find. Doc Martins, and I'm wearing an obsidian necklace. Thanks it was great to my make up on again. Unfortunately I won't be traveling anywhere near the Eastern shores this time. I'm actually going to wales :) But another time I would love to visit you, or you could come here! Oh well, maybe next time, if your Wales that's far. I've always wanted to see Sweden and the Nordic counties. Anyway, I hope you have a lovely time and look forward to catching up with you on blogger and Instagram. Yeap it is quite a sad storey. I just thought it was an interesting thing to see in a pub. Anyway I'm super stoked about the fabric. A wonderful outfit, I love your skirt! And your new fabrics look great, too. I'm curious what you create of it! Thanks my skirt was thrift find I kind want to create a slight gothic lolta look but I think it failed. In regards to the fabric most are going to be half circle skirts, the lace is going to be a long skirt and the sparkly squence is going to be top. The damask not sure yet may be linings for baskets. I'm back to doing my sewing classes so I'll have time to make things again ..
How annoying about the cabinet! And what a sad story about the dog!! Yeap really was as they would completed thr look of room. Oh well,keep looking. The dog is a very sad storey and first time, I've heard about the storey. I thought it was an interesting cursoitiy. Thanks that really sweet definatly need more practice with my makeup.